The de Blasio administration declared a public health emergency in several Williamsburg zip codes amid a measles outbreak. 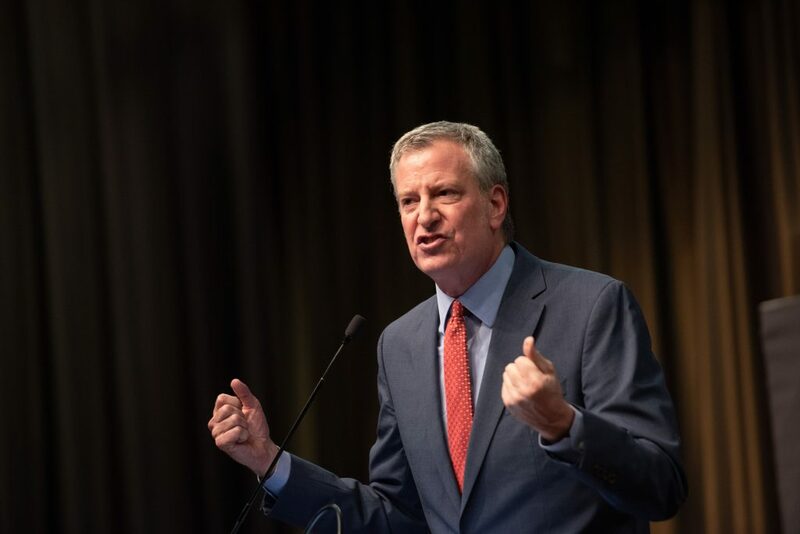 Under the declaration, announced by de Blasio at a press conference Tuesday, unvaccinated people living in the zip codes 11205, 11206, 11221 and 11249 who may have been exposed to measles will be required to receive the measles-mumps-rubella (MMR) vaccine. New York City’s Department of Health and Mental Hygiene will check the vaccination records of any person who may have been in contact with infected patients. Those who have not received the MMR vaccine or do not have evidence of immunity may be given a violation and a $1,000 fine. Williamsburg is one of several Orthodox Jewish neighborhoods in New York and New Jersey that have experienced a measles outbreak during the past few months. The outbreak appears to have originated from community members who visited Israel, which is experiencing its own outbreak. Since the beginning of the outbreak in October, 285 cases have been confirmed in New York City, including 246 involving children under the age of 18. Most of those infected had not been immunized, or received only one dose of the vaccination. There have been no deaths during this outbreak, but 21 patients were hospitalized, including five admitted to the intensive care unit. One dose of the MMR vaccine is required for children attending day care and pre-kindergarten; two doses are required for children in kindergarten through 12th grade. During this outbreak, the Health Department is recommending that health-care providers serving Orthodox Jewish communities in Williamsburg and Boro Park give an early, extra dose of the MMR vaccine for children between the ages of 6 months to 11 months. In December, the Health Department announced that it would not allow unvaccinated children to attend yeshivos in Boro Park and Williamsburg until the outbreak is declared over. Several Williamsburg yeshivos did not comply, and last month were issued Commissioner’s Orders – a final warning, to exclude children who were not immunized, or the principal may face a penalty of $2,000 per unvaccinated student per day. On Monday, the Department issued blanket Commissioners’ orders to all Williamsburg yeshivos. Any yeshivah that allows unvaccinated children to attend will immediately be issued a violation and may be subject to closure.